Let’s Knit Eric and Pablo! 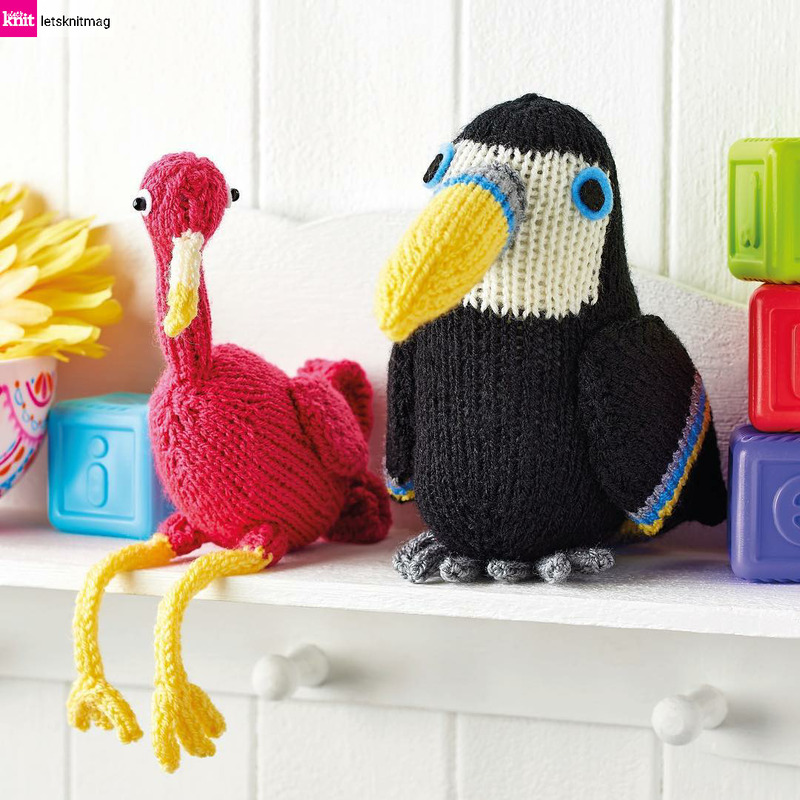 These two trouble makers are yours to knit if you pick up a copy of the current issue of Let’s Knit magazine! (March 2018). 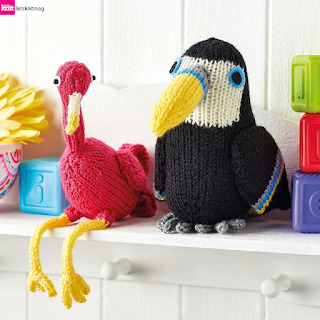 Meet Eric the flamingo and Pablo the toucan – both easy, fun knits to cheer up a wintery day with some colourful birdie cuddles!